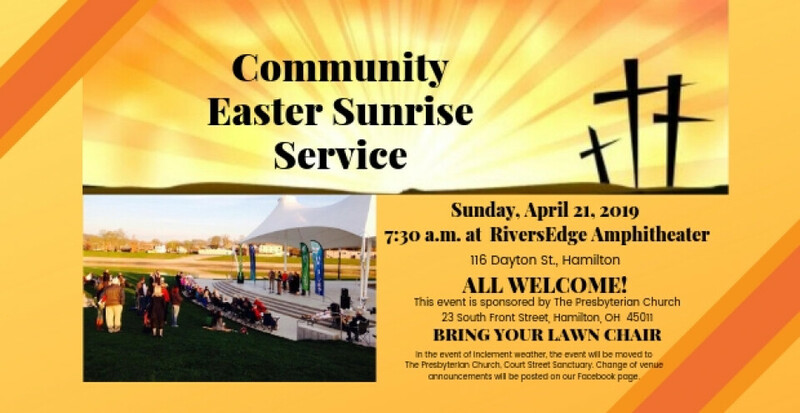 Join us at RiversEdge Amphitheater(next to Marriott) Easter Sunday morning! Sunday, April 21, 2019 - 7:30 a.m.
Come celebrate the resurrection of Christ with our community! Area Pastors will be leading the service and local praise team members will lead our worship together. Please bring your own lawn chair. Hope to see you there! in the Court St. sanctuary.